At Cale Law Office, we focus on ensuring that each client receives the attention that they deserve for their case. While not limited by a particular specialty, we have recently helped clients in the following areas. Stephen Cale started Cale Law Office originally to help clients receive the fair attention that they deserved for their cases and filings. Advocation for clients facing legal action is of the utmost importance for the entire team at Cale Law Office. While some law firms will be too expensive or not understand the specifics of a particular court proceeding, Cale Law Office focuses on providing a world-class service to clients at an affordable fee. When facing charges against you, do not cut corners on quality representation. Work towards an outcome that you’re looking for with Stephen Cale and his team, not just a easy out to your case. 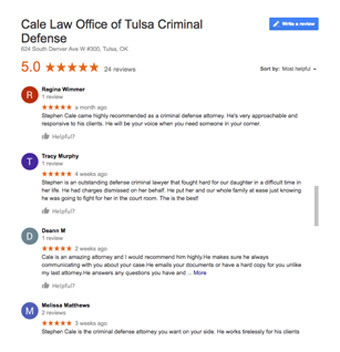 You will appreciate the friendly personality of Stephen Cale and attention to detail when you begin to review your case. Make sure that you set up your FREE 60-minute consultation of your case today.